Hydrated skin naturally glows – even without any makeup on. It is important to apply face cream to moisturise your face. Twice daily. You may feel overwhelmed by the neverending choices of moisturisers in the market. Fear not, you can take reference from our shortlisted best moisturisers for different skin types in Singapore! 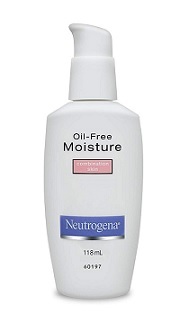 The Neutrogena Oil-Free Moisturizer is a lightweight and oil-free milky formulation. This makes it suitable for combination and oily skin. As it provides long-lasting moisturisation for your skin, your skin stays soft and radiant throughout the day. Sebum production is also inhibited, so you won’t have to worry about that oily complexion in the later part of the day. This also has sun protection benefits for your skin, so you get to skip on the sunscreen step in your beauty regime! For soft and supple skin effortlessly, you only need the Neutrogena Oil-Free Moisturiser. Click here to check the latest price for the Neutrogena Oil-Free Moisturizer on Lazada now! The Laura Mercier Tinted Moisturizer significantly saves the prep time for you in the morning. It provides long-lasting hydration for your skin, balances out your skin tone and protects you from harmful UV-rays. As this is a lightweight yet intensely moisturising formulation, it is suitable for all skin types. 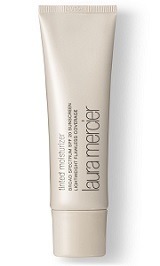 Get that Korean dewy glow that is wearable all day with the Laura Mercier Tinted Moisturiser. Click here to check the latest price for the Laura Mercier Tinted Moisturizer on Lazada now! The Clinique Moisture Surge 72-Hour Auto-Replenishing Hydrator guarantees that your skin stays hydrated throughout the day and the next day even! This is even after you cleanse your face. Clinique’s auto-replenishing technology encourages your skin to rehydrate itself so that your skin is plump and radiant. You won’t have to worry about clogged pores as this hydrator is a lightweight gel-cream that is oil-free and non-acnegenic. This makes it suitable for all skin types, even those with sensitive skin! 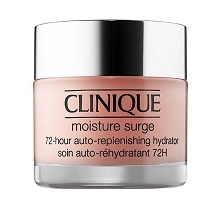 Click here to check the latest price of the Clinique Moisture Surge 72-hour Auto-Replenishing Hydrator on Lazada today! The Innisfree Aloe Revital Soothing Gel Moisturizer is a clear gel-like moisturiser that is cooling when applied on the skin. If you have sensitive skin, this soothing gel moisturiser is the most suitable for you. It is also free of chemicals and artificial fragrances. As Aloe Vera has healing effects for your skin, this moisturiser enhances your skin’s natural barrier and allows it to lock in moisture for a longer period. You can even apply this on other parts of your body after shaving, waxing or if it’s sunburnt. For a versatile moisturiser that doesn’t irritate your skin, the Innisfree Aloe Revital Soothing Gel Moisturiser is the godsent choice. Click here to check out the latest price of the Innisfree Aloe Moisturizer on Lazada! 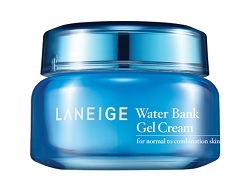 The Laneige Water Bank Gel Cream Moisturizer has the ability to awaken your skin and restore its natural vitality. The moisturiser provides deep hydration and enhances your skin’s natural barrier so that it locks in the moisture throughout the day. While it is a more luxurious cream, it feels lightweight when applied on your skin and gets absorbed easily. The answer to baby soft and supple skin is this Laneige Water Bank Gel Cream Moisturiser. So many people swear by it. Click here to check the latest price of the Laneige Water Bank Gel Cream Moisturizer on Lazada now! The Hada Labo Super Hyaluronic Acid Hydrating Lotion may look deceiving as it is disguised as a clear lotion. However, this is an intensely hydrating moisturiser that is packed with Hyaluronic Acid. This makes it like a super magnet for moisture and can restore your skin’s soft suppleness. The formulation is also straightforward without any alcohol, colourants and artificial fragrance. This makes it really suitable for all skin types, even if you have sensitive skin. 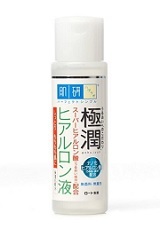 Wave goodbye to dull or flaky skin with the Hada Labo Super Hyaluronic Acid Hydrating Lotion. Click here to check the latest price of the Hada Labo Super Hyaluronic Acid Hydrating Lotion on Lazada! Yes, we’ve also included our preferred moisturiser specially formulated for men in this guide. The Nivea Face Care for Men Moisturizer is a non-greasy formula that boosts moisture for your skin. This moisturiser is enriched with Vitamin E that enhances your skin’s resilience against the harsh environment. Hydrated and resilient skin prevents premature aging signs like fine lines and dull complexion. For long-lasting hydration and care for your skin, the Nivea Face Care for Men Moisturiser is the obvious choice. 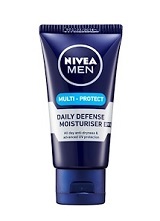 Click here to check the latest price of the Nivea Face Care for Men Moisturiser on Lazada! The SK-II Facial Treatment Essence is formulated with Pitera which claims to be packed with deeply hydrating nutrients that your skin needs the most. This essence restores your skin’s natural vitality and can improve your skin appearance. As your skin’s resilience is enhanced, premature ageing signs like wrinkles and fine lines are also inhibited. You can also top it off with the R.N.A Power Radical New Age cream from SK-II to lock in this essence in your skin. This combination is sure to guarantee an improved complexion that glows naturally. Click here to check the latest price for the SK-II Facial Treatment Essence on Lazada! 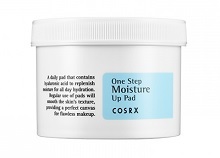 The Corsrx One Step Moisture Pad is an innovative means for toning and moisturising your face at one go. Simply use one side of the embossed pad to remove the impurities on your face after cleansing, flip it over and make sure your skin soaks up all the moisturising serum. This is also a convenient means of removing dead skin gently daily and will give you a smoother and brighter complexion. For a convenient solution to keeping your face clean and moisturised, the Corsrx One Step Moisture Pad is definitely a great buy. Click here to check the latest price for the Corsx One Step Moisture Pad on Lazada today! The Origins GinZing Energy-Boosting Gel Moisturiser is a lightweight and silky smooth formulation that boosts hydrating for your skin. With Ginseng extract in its ingredient list, this moisturiser effectively supplies a boost of nourishment to your skin. This helps to rejuvenate your skin and restore the natural vitality of healthy skin. If you have a perpetually tired and dull looking skin, you definitely have to restore its vitality with the Origins GinZing Energy-Boosting Gel Moisturiser. Click here to check the latest price for the Origins Ginzing Moisturizer on Lazada today! The Lancome Hydra Zen Anti-Stress Moisturising Cream is suitable for all skin types and provides calming hydration for your skin. External environment factors may dry out your skin and cause it to look dull and tired. You can combat against these harsh effects with this moisturising cream. The result is a refreshed and radiant skin that emits a natural glow. For baby soft skin that is well hydrated throughout the day, the Lancome Hydra Zen Anti-Stress Moisturising does the job well. 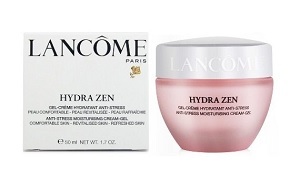 Click here to check the latest price for the Lancome Hydra Zen Moisturizing Cream on Lazada today! 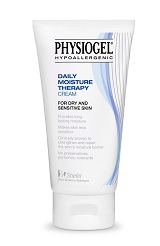 The Physiogel Daily Moisture Therapy Cream is formulated to revive severely dry skin. It enhances your skin’s barrier so that it can lock in and retain the moisture for more extended periods of time. This dramatically reduces the recurrence of dry and flaky skin. The result is a nourished and soft skin that looks supple and bright. If you have sensitive skin, you can be assured that this moisture therapy cream is non-comedogenic and non-irritating. Get nourished and radiant skin with the Physiogel Daily Moisture Therapy Cream. Click here to check the latest price for the Physiogel Daily Moisture Therapy Cream on Lazada! The Nature Republic Aloe Vera Moisturizer Gel is a clear and lightweight gel that is soothing when applied. Aloe Vera has natural healing properties and instantly soothes your skin and any angry red patches. Enriched with vitamins, this moisturizing gel has a nourishing effect on your skin to keep it supple at the same time. You can use this after shaving, waxing or if your skin feels slightly burnt from the sun. A bonus tip for this product: You can also keep it in the refrigerator for an additional cooling effect for instant soothing. 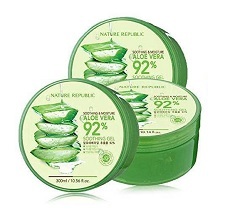 Click here to check the latest price for the Nature Republic Moisturizer Gel on Lazada today! A good face moisturiser has many benefits for your skin and ensures that it stays supple and radiant even without applying any makeup. If you’re looking for the best face moisturisers in the market, you should refer to our review above. We break down the different moisturisers based on different skin types so you can choose one that is suitable for your skin. Moisturising your skin ensures that your skin is replenished with the important nutrients and is kept hydrated throughout the day. This allows your skin barrier to be strengthened and as a result, be more resilient to the harsh environmental factors. Your skin elasticity remains firm and new wrinkles will not form so easily. Dull and tired looking skin is a major consequence of dry skin. Ensuring that your skin is adequately moisturised and hydrated can immediately improve your skin complexion. Moisturising helps to restore your skin’s vitality and radiance. If you frequently notice that your makeup cakes up or creases after only a few hours on your face, chances are that the skin on your face is suffering from a severe lack of hydration. This could result in excess sebum production that causes your makeup not to stay. At the same time, a dehydrated complexion may be prone to less elastic skin, and your makeup may end up piling in fine lines and creases. So it is essential to keep your skin adequately hydrated. What kind of moisturiser should I get if I have combination skin? Combination skin types may seem like paradoxical skin situation. Your skin is oily yet dry at the same time, and you may find yourself wondering between a heavier moisturising cream and a lightweight one. It may also be a hassle to get two different creams to apply at different zones of your face. The solution is to get a lightweight cream that has highly nourishing ingredients in its formulation. This includes Ginseng extract or snail secretion filtrate, which does not exacerbate the sebum production on your face yet restore the much-needed moisture for your skin. 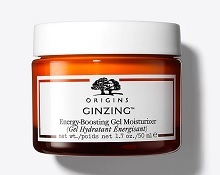 If you have combination skin, you should definitely consider the Origins Ginzing Energy-Boosting Gel Moisturizer. What’s the difference between an oil-free moisturiser and other moisturisers? Excess oil is more often than not the cause of acne or just a perpetual oily sheen complexion. Oil-free moisturisers are usually water-based and do not contain oil-based ingredients. This does not mean that it is not as moisturising as the other moisturisers. If you’re looking for an oil-free moisturiser, you can either consider the Neutrogena Oil-Free Moisturizer or Hada Labo Super Hyaluronic Acid Hydrating Lotion. Can I not moisturise my face in the morning? If you find yourself struggling to keep up with the beauty routine every morning as you do not have the time, you can consider getting a tinted moisturiser. These are typically multifunctional and doubles up as a foundation and a moisturiser at the same time! To prevent your pores from clogging up and also to ensure long-lasting wear, you should look for one with a lightweight formula that is highly wearable. If you’re looking for a tinted moisturiser that is suitable for all skin types, you should definitely consider the Laura Mercier Tinted Moisturizer. It’s a common misconception that you don’t need to moisturise your face if you have oily skin. Sebum production is most active when your face is dry, which results in that oily sheen. It is important that you keep your skin moisturised to regulate excess sebum production. Since you have oily skin, it is important to opt for a lighter moisturizer or one that is oil-free. This helps not to exacerbate the sebum production and minimises clogged pores. For oily skin, you should consider the Neutrogena Oil-Free Moisturizer. What moisturiser should I get if I have sensitive skin? You know you have sensitive skin when your skin easily breaks out or develops red angry patches whenever you use a new product that is not suitable for your skin. To reduce such occurrences, it is important to avoid moisturisers that contain alcohol or have chemicals. You should also be more careful when it comes to the scent of the product. Make sure the fragrance is naturally occurring and not due to artificial fragrance additives. 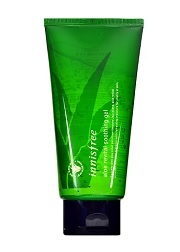 If you have sensitive skin, you should definitely consider the innisfree Aloe Revital Soothing Gel Moisturizer. What moisturiser should I get if I have dry skin? Dry skin may often result in flakiness and listless looking complexion. This could mean that your skin barrier is not resilient enough and does not have the ability to retain and lock in moisture for your skin. You can combat these issues with a heavier cream-like moisturiser. This means choosing a moisturising cream that is made up of at least 40% to 50T of oil-based ingredients. Look out for vitamins and hydrating ingredients so that these could nourish your skin and restore its natural vitality. If you have dry skin, you should consider the Clinique Moisture Surge 72-Hour Auto-Replenishing Hydrator. 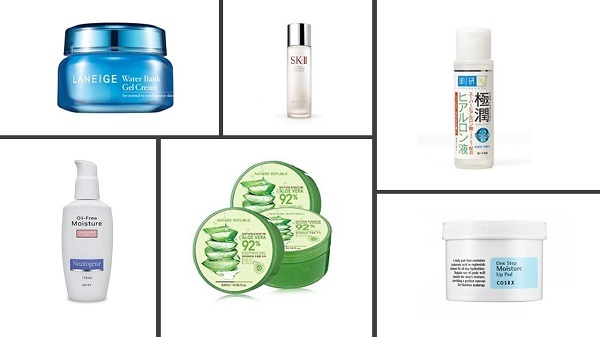 What’s the difference between Korean and western moisturisers? The Koreans are known for their glowy, dewy complexion, and the secret is in their skincare products. Korean moisturisers are typically more problem-preventing and western moisturisers are more problem-solving. Korean moisturisers focus on creating the ideal environment and care regime for your skin in the long run. They also typically include more natural ingredients that focus on rehabilitating your skin condition so that problems do not recur time after time. Cleansing and washing your face may strip it of some nutrients and moisture, so it is important to replenish the moisture in your face to prevent your skin from drying out. You should also take note that the toner and serum should be applied first before the moisturiser. This is the final touch to locking in all the moisture for your skin! It is important to put some moisturiser when you wake up. If you tend to sleep in an air-conditioned room, your skin may lose a lot of moisture while you sleep. The moisturizing serves to rehydrate your skin and restore adequate moisture for your skin. This will ensure that your skin is supple and plump! You’d typically sleep between 6 to 10 hours, and during this time your skin also needs to be hydrated. Applying moisturiser before you sleep thus ensures that your skin also rests in an optimal condition while you sleep! If you don’t already know, commuting on long flights exposes your skin to super dry and stale air. This can cause damage to your skin as it strips your skin of its moisture. Your skin may result in dry and flaky patches, and may also develop a red flare in response. It is thus important to apply moisturiser on your face so that it has a layer of protection against this harsh condition. The moisturiser also helps to strengthen your skin barrier so that it can lock in moisture for a longer time! Step 1: Take a dime size of moisturiser with your ring finger and gently place small amounts on different parts of your face. Simply dab on your forehead, cheeks, nose, chin and also your neck. Step 2: Continue using your ring finger and third finger, start to fan out from inside out working from your nose out to your cheeks, nose to your forehead and lips to your chin. This helps to spread the moisturiser evenly and blend it into your skin. Step 3: Gently pat the moisturiser into your skin to encourage absorption and let it rest for about 1-2 minutes before you apply sunscreen.